The stars and director paid tribute to Nora Ephron and Carrie Fisher. In the summer of 1989, When Harry Met Sally became a box office smash and defined romantic comedies for a generation. 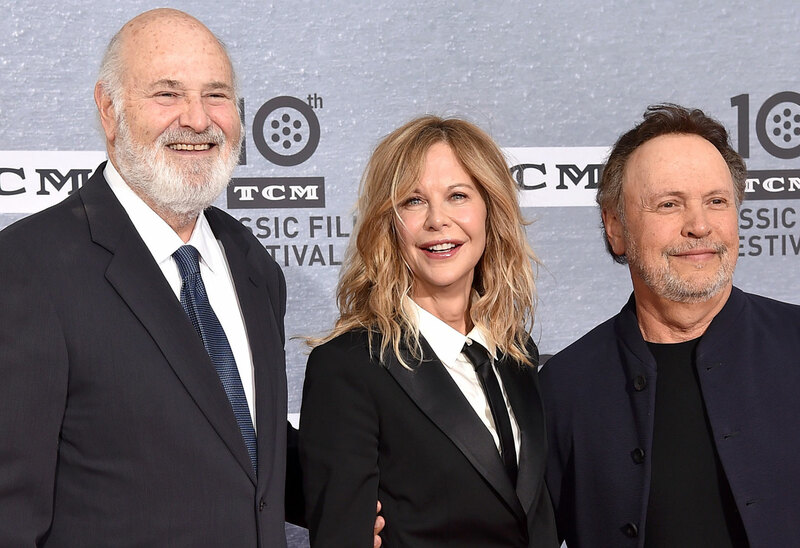 On April 11, Meg Ryan, Billy Crystal and Rob Reiner reunited for a special screening of the iconic film at the 10th annual Turner Classic Movies Festival Opening Night Gala. Together, the stars reminisced about the film’s late writer Nora Ephron, as well as their late co-stars Carrie Fisher and Bruno Kirby. Click through the gallery for all the info on the special night. Meg, 57, and Billy, 71, goofed around on the red carpet before the screening. She played slightly obsessive Sally Albright, while he portrayed lovable cynic Harry Burns. The trio reminisced about filming the movie. Rob met his second wife Michele Singer while making the film, which convinced him and Nora to change the ending of the film. Originally, Harry and Sally parted ways at the end, instead of admitting their feelings. “I think we all wish Nora were here, and Bruno and Carrie,” Meg said at the event. Nora died in 2012 from leukemia. Carrie, who played Sally’s best friend, passed in 2016. Her character ended up with Harry’s best friend, Jess, portrayed by Bruno. He died in 2006. Nora also wrote and directed Sleepless In Seattle and You’ve Got Mail, two more beloved Meg Ryan rom-coms. “They took an enormous chance with me,” she said about getting cast in When Harry Met Sally, her first leading role. What do you think of the When Harry Met Sally reunion? Sound off in the comments!